Ayse Ansell is an anti-austerity pro-migration activist who has been a campaigner for 8 years. She is an intersectional feminist and works in the womens sector. 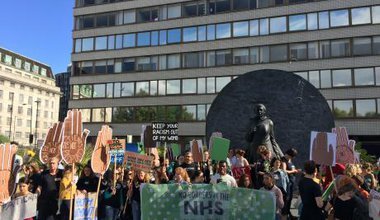 As activists took to the streets at the weekend to protest Jeremy Hunt’s introduction of NHS passport checks and upfront charges, David Nicholson said the policy was “based on fake evidence” and “the thin end of a very big wedge”.